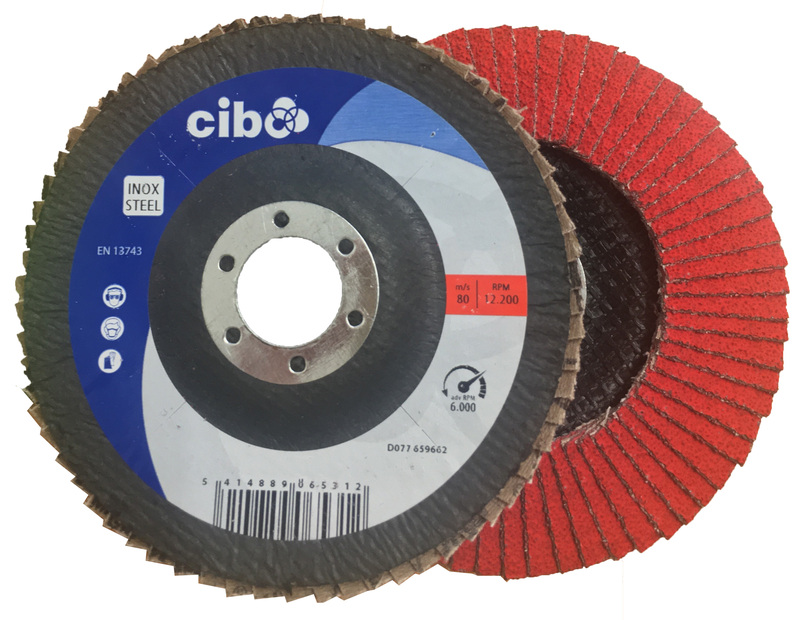 Applications: These premium flap discs are made by Cibo Abrasives, specialists in metalworking abrasives, especially for stainless steel. With zirconium flaps, these work quickly on most metals and are the ideal choice for working on mild steel as well as stainless. 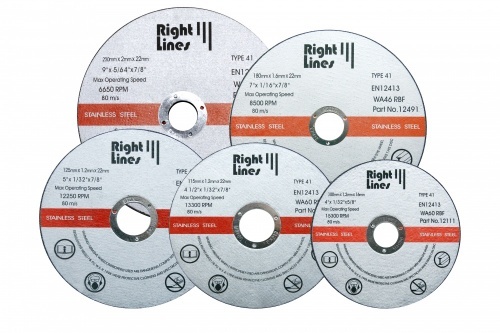 Use coarse grade 40 discs for grinding and stock removal, down to 120 grade for finer finishing and preparation. For use on angle grinders. 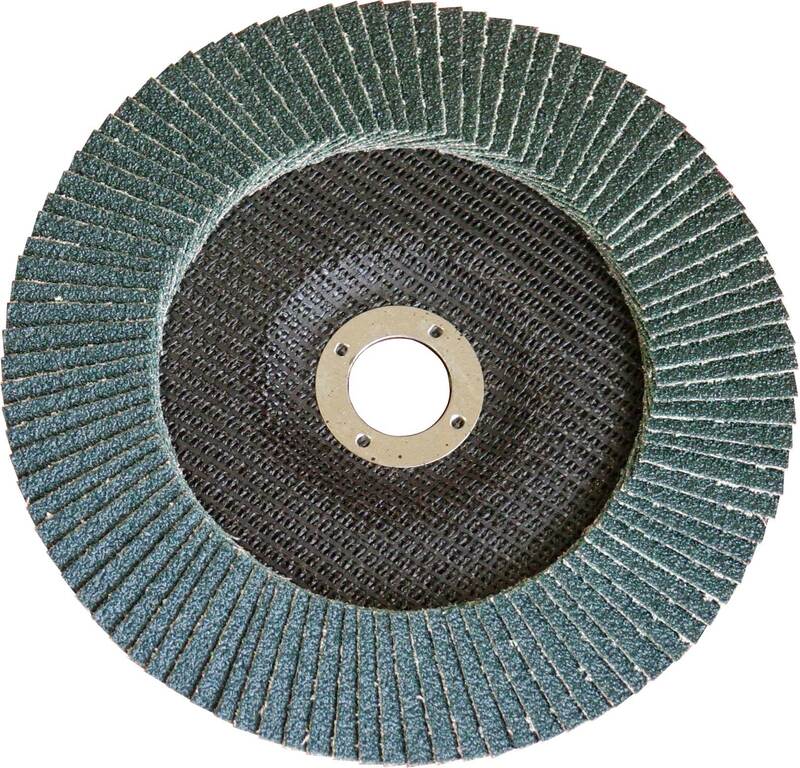 High grade blend of zirconium abrasive, suitable for hard metals. Good flap count and size for durability. 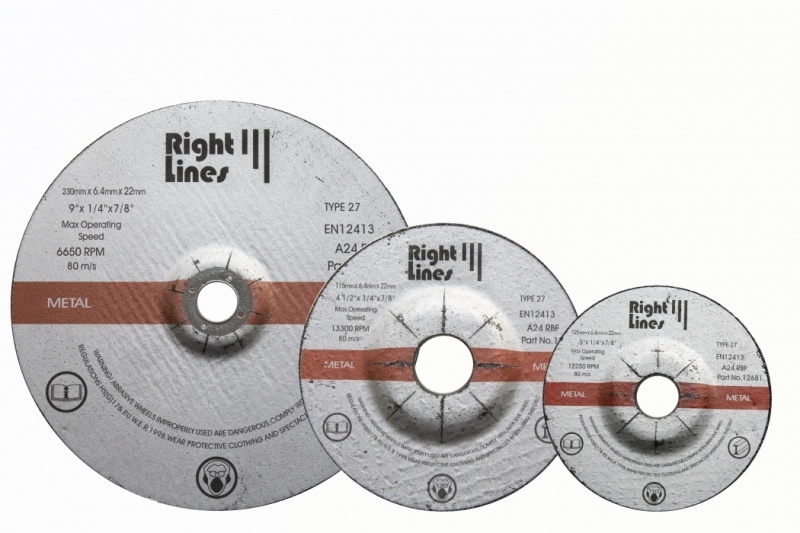 Disc sizes for 100, 115 and 125mm angle grinders. Also 180mm for both 180mm and 230m (7in & 9in) grinders. Slightly conical profile for ease of application to the work-piece. 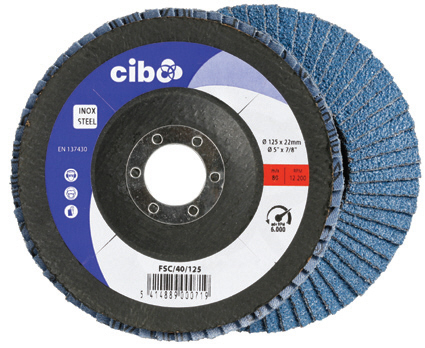 Quality product made in Belgium by Cibo Abrasives. Packed in 10s, but available as single discs.